At the corner of Shinbashi dori and Shirakawa-minami dori is a wedding photo studio. It is in the perfect location. They only need to go out the front door for picturesque locations. 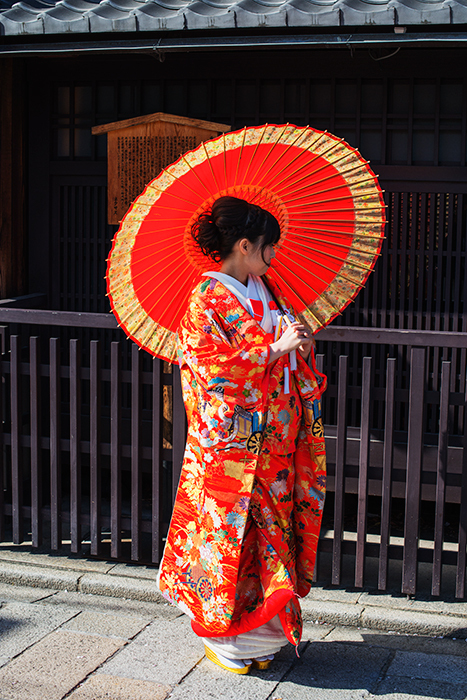 As a result, you’ll see many couples traditionally dressed.